Did you know that your floors and the color of your room can directly contribute to your perception of the space and even your mood? That’s right – which means your carpet color and selection is a lot more important than you might have originally thought. That’s why many homeowners love to go for neutral tones such as gray, tan, or beige so that they can mix and match other colors and seamlessly integrate their space. While choosing a vibrant color for your carpet can be a great idea, be sure it helps create the mood you are looking for. Carpet that is darker than your walls will make the space appear smaller, while lighter colored carpet will help make the space seem bigger. Moreover, consider the natural light in your room. 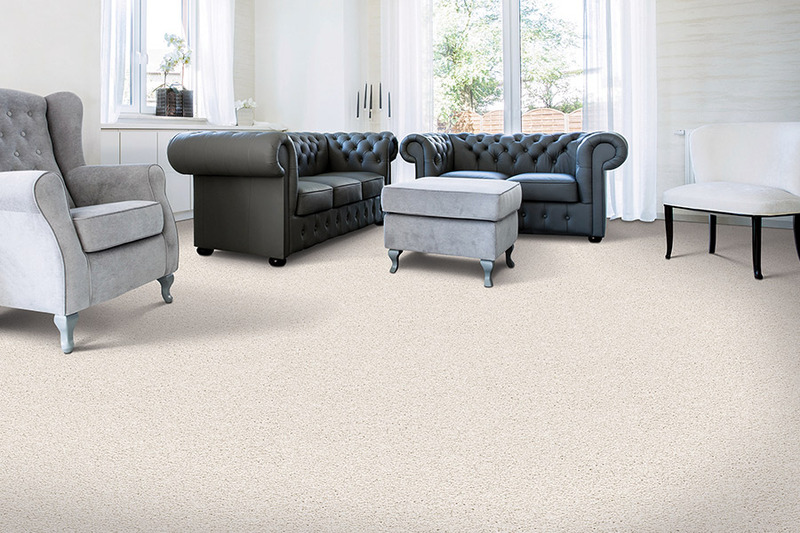 If your living room or family space has plenty of bright natural light, it can help tone down the space with darker colored carpet. Alternatively, if you are replacing the floors in your space which has little to no natural light, going with something lighter can make the space feel bigger and more open.